ACT-1111 Jel Gear Lubricant - .5oz. ACT-2112 Motor Bearing Lubricant - 1oz. 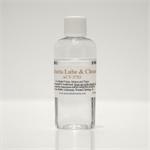 ACT-3753 Conducta Lube and Cleaner - 1oz. ACT-6006 Track Cleaning & Conditioning Fluid- 8oz. ACT-6116 Track Cleaning & Conditioning Fluid- 1oz.